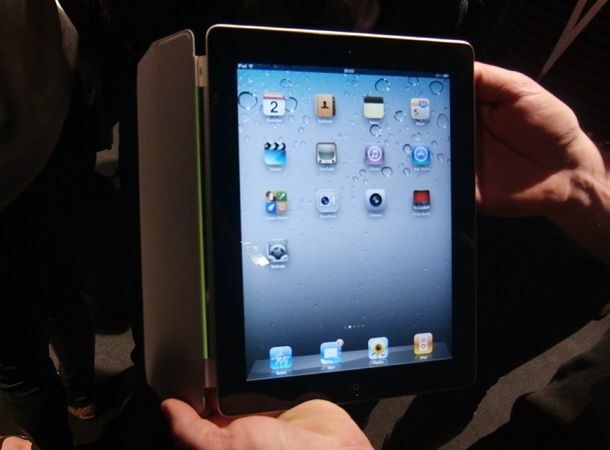 Unboxing the Apple iPad 2. Get close up with Apple's new tablet. After rushing out to buy an iPad 2 on US launch yesterday, we couldn't wait to bust open the box and sample the Apple flavoured delights on offer between that gorgeous packaging. After a five-hour wait, the excitement was palpable and we grabbed our trusty DSLR camera and cracked open the box that won't be arriving on UK soil until March 25th. So check out our unboxing video also featuring the new Apple Smart Cover (we opted for the lime green plastic cover) and the new HDMI adapter, which will allow iDevice users to hook up to their HD TV.